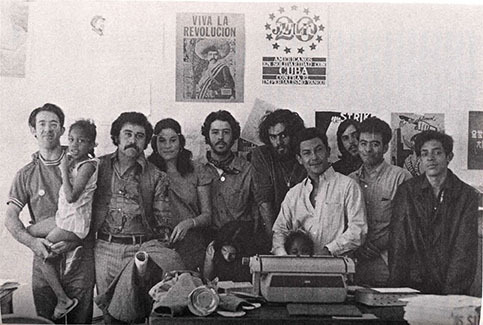 An archival photo of the Los Siete activists that will be displayed in the “Remember Los Siete” exhibit. 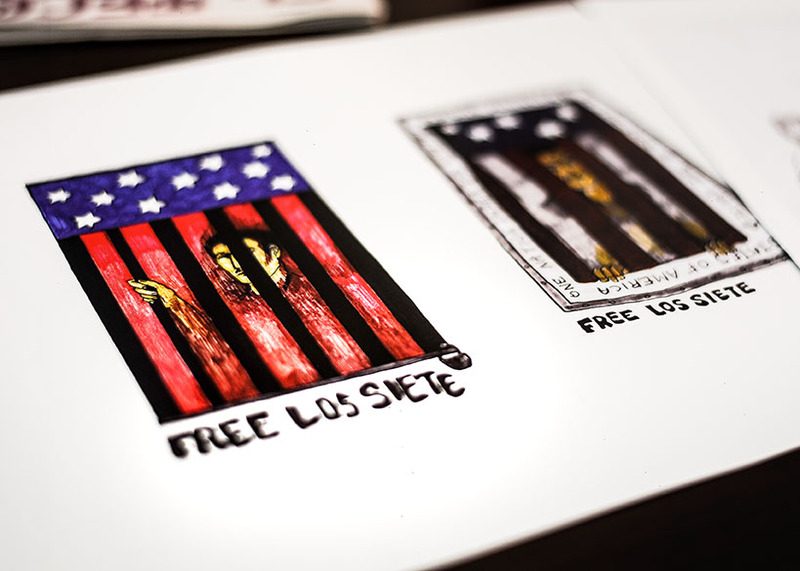 “Los Siete” was the name given to seven Central American youth from the Mission District—Nelson Rodriguez, Jose Mario Martinez, Rudolfo “Tony” Martinez, Gio Lopez, José Rios, Danilo “Bebe” Melendez and Gary “Pinky” Lescallett —who were accused of killing SFPD officer Joe Brodnik, following an altercation in May 1969. 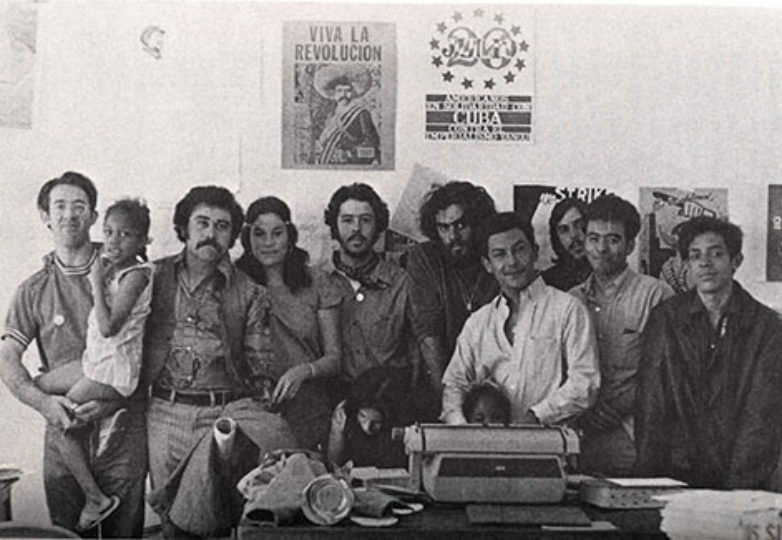 Lopez , however, managed to flee the country, resulting in only six of the seven being put on trial. 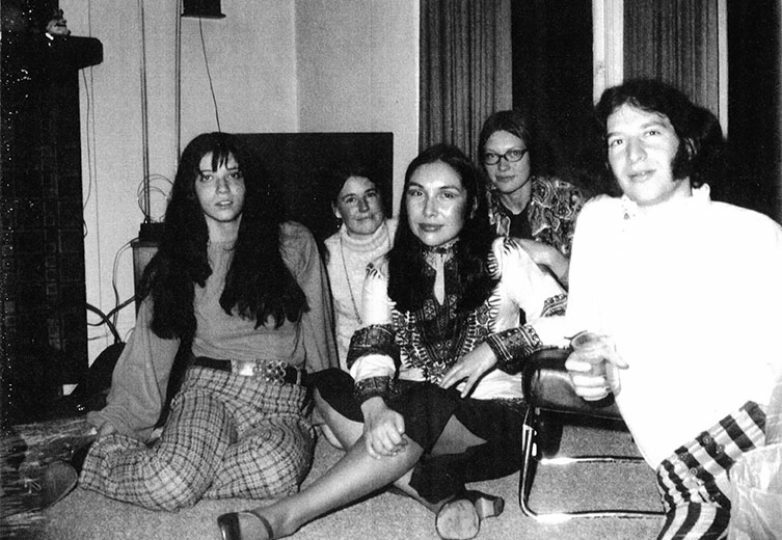 The community rallied around the youths , forming an organization that shared the name “Los Siete.” Many in the community not only believed that the seven youths had been falsely accused by police, but that the trial stood as a larger symbol for the oppression of the Mission Latino community, and a newfound radical resistance. 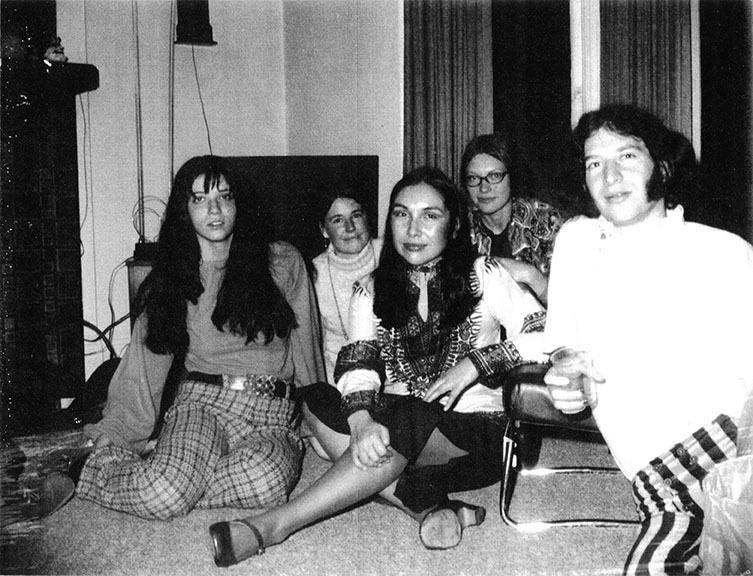 The new group used its platform to advocate for the youth, as well as to develop political consciousness and assist their communities in various ways. Los Siete were ultimately acquitted after an 18-month trial, but the impact of the community action taken on their behalf can still be seen today. 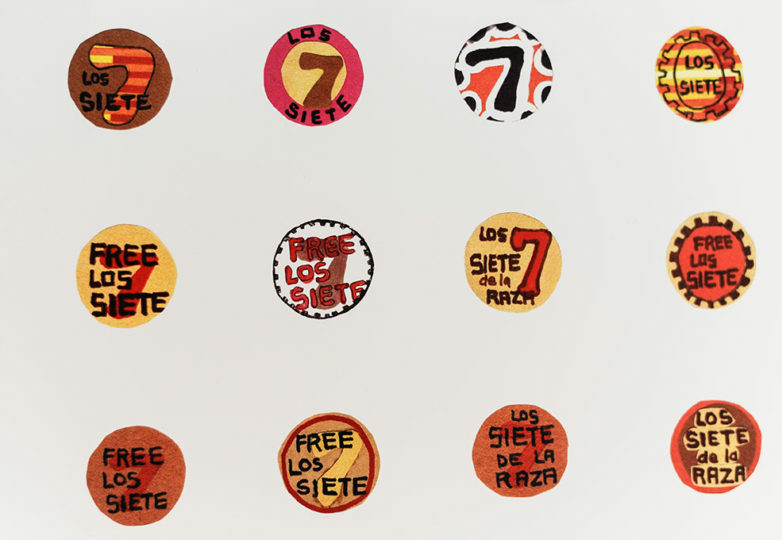 “Remember Los Siete” is being curated by artist, Fernando Martí in collaboration with revered Mission artist Yolanda Lopez, a major contributor to Basta Ya!, a community newspaper published by Los Siete organization. Lopez designed posters and illustrations for the paper, which became the voice for the movement that emerged from the trial of Los Siete. 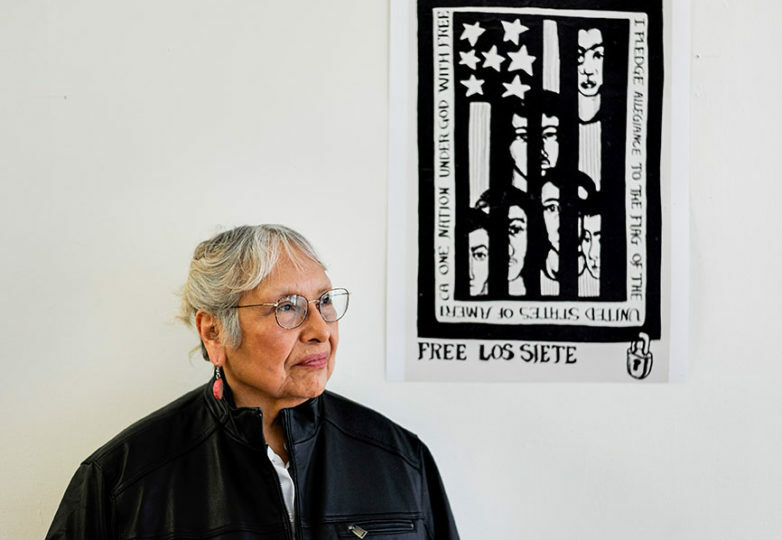 The series opens with “50 Years of Cultura y Resistencia from Los Siete to Today,” an exhibition hosted at Acción Latina’s Juan R. Fuentes Gallery, featuring artwork and writings from Basta Ya! 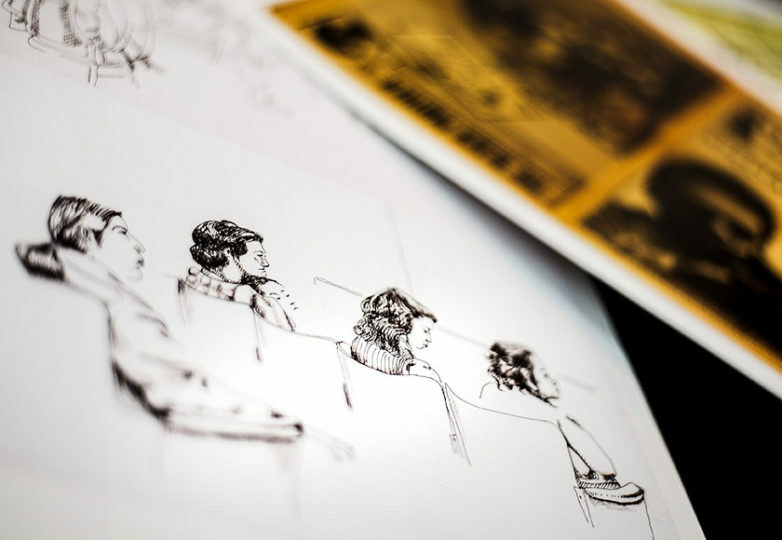 that have been preserved by Lopez in her personal archives. 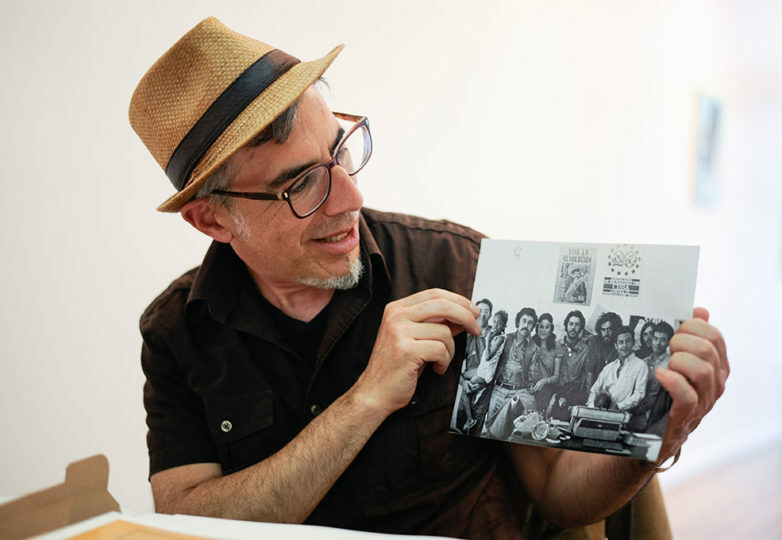 Martí says the series will also feature artwork related to the groups who worked in solidarity with Los Siete, including local farm workers and the Black Panthers. Though a lot of the coverage in Basta Ya! was based around the seven, they also used the paper to voice support for related issues. 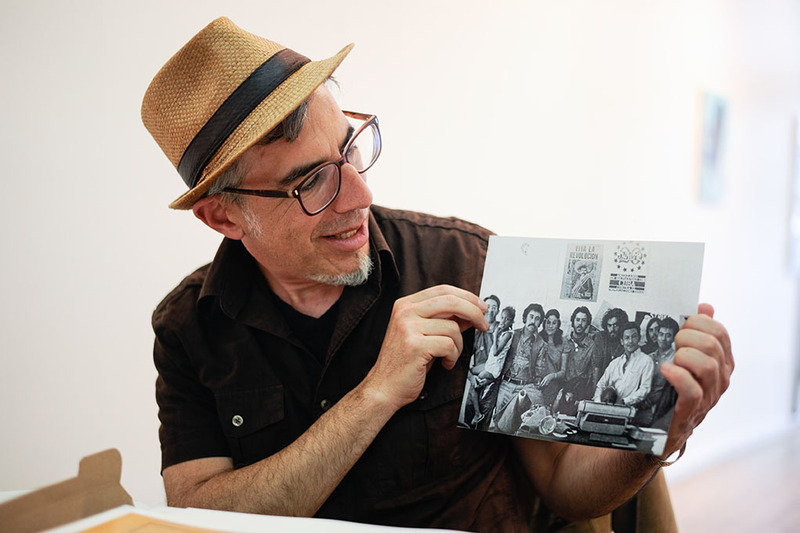 Martí felt that showing the solidarity between these various social groups is an important part in telling the story of Los Siete as a whole. 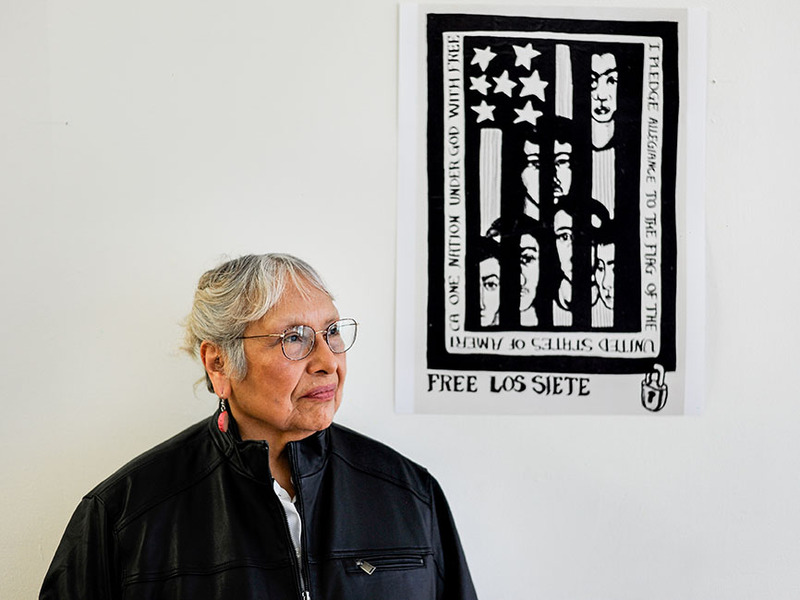 Donna Amador was another of the more prominent members of the Los Siete movement. 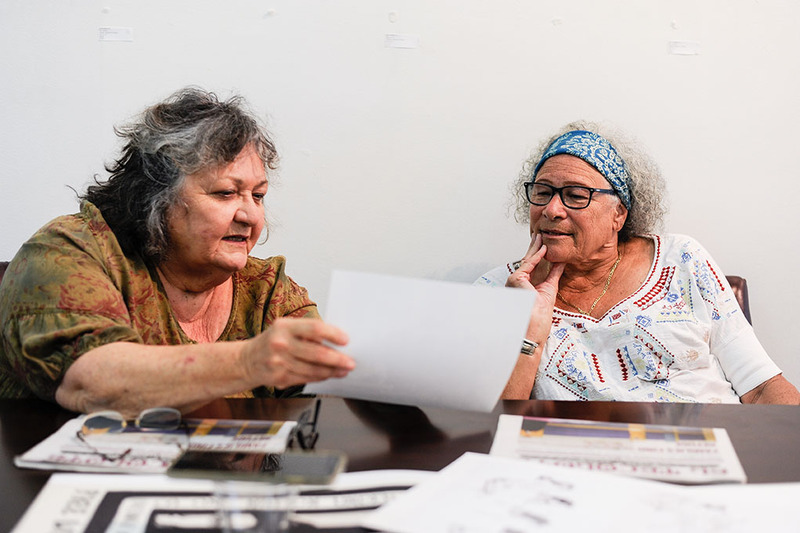 She and Lopez helped out in anyway they could, even traveling together to a Black Panther meeting site and learning from Emory Douglas—the Black Panther Newspaper’s graphic artists and Minister of Culture—on how to put together and publish Basta Ya!. programs, including providing free breakfast for children, organizing a community clinic and free legal defense, among other programs. An impact that can still be seen in programs today. 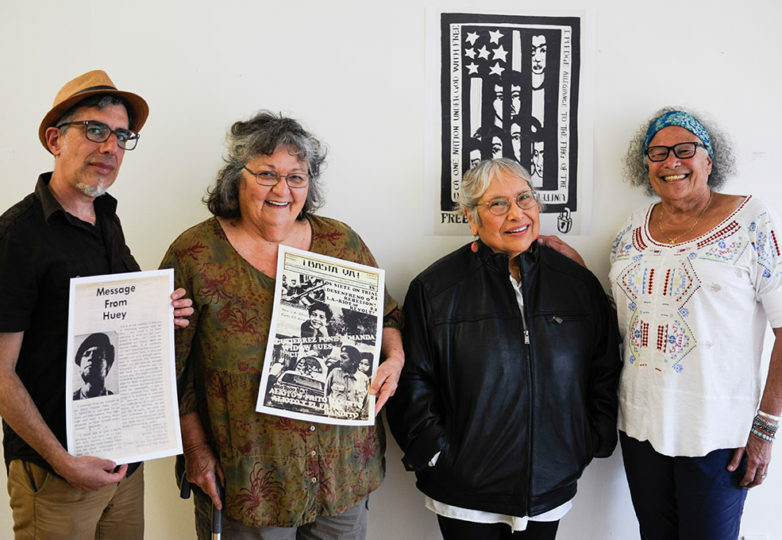 But the idea behind “50 Years of Cultura y Resistencia” isn’t just to relive history, it’s to highlight why that history still matters today. Judy Drummond, a retired school teacher who helped Los Siete for a few years, agrees with Amador. 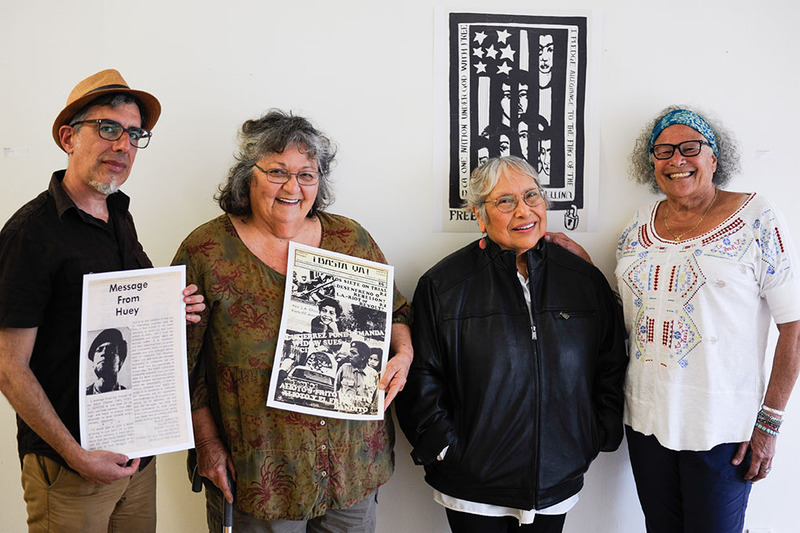 The opening reception for “50 Years of Cultura y Resistencia from Los Siete to Today” is Friday, April 5 from 6-9 p.m. at Acción Latina’s Juan R. Fuentes Gallery, 2958 24th St., San Francisco. 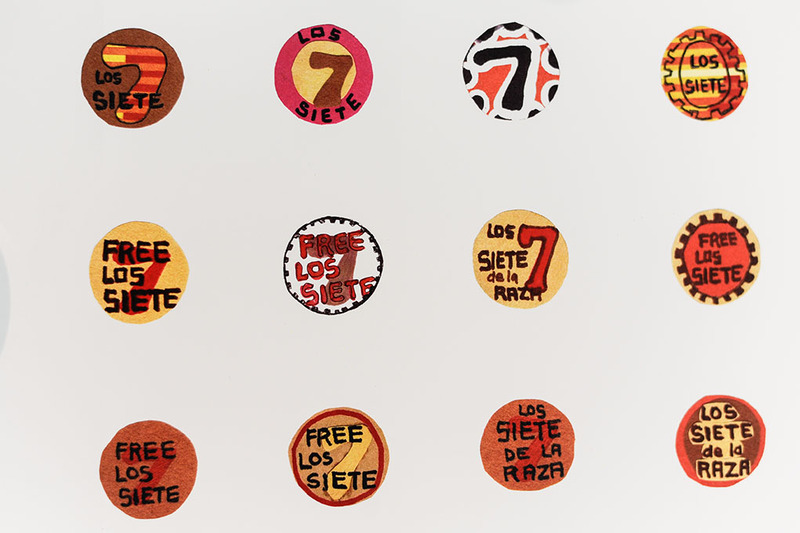 “Remember Los Siete” runs through May 17.